The outlook overshadowed third-quarter revenue, which beat analysts' estimates, and a loss that was smaller than expected. 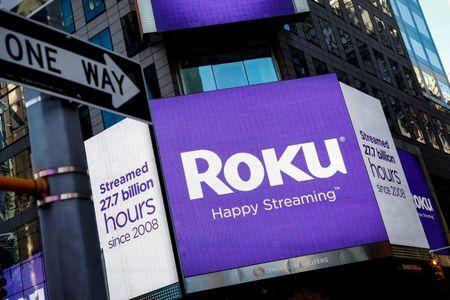 Revenue from Roku's streaming platform is a closely watched metric and the company has pinned hopes on the segment, which generates profit margins well above 70 percent. DA Davidson analyst Tom Forte said the pullback in shares was also a reflection of expectations being "too high" for the company's third-quarter results. Roku's streaming devices have been facing intense competition from the likes of Apple TV and Google Chromecast. "We added several news providers in anticipation of the mid-term elections and it was one of our best news days ever." The company's shares were down 12.6 percent at $51.41 after the bell.